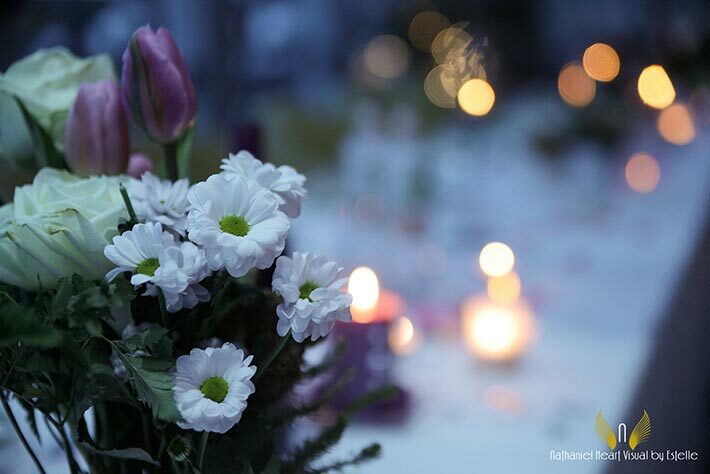 A winter wedding in Piemonte before the Spring comes…. We are back to Piemonte mountains for this post! 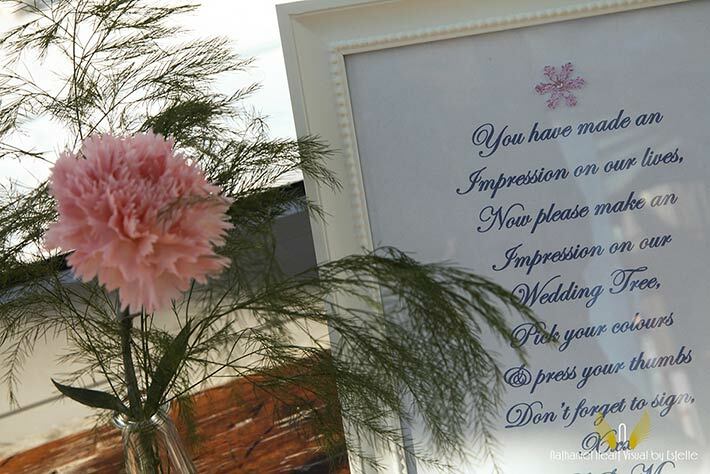 Before Spring arrives with the new wedding season we would like to tell you about our open act for 2013. 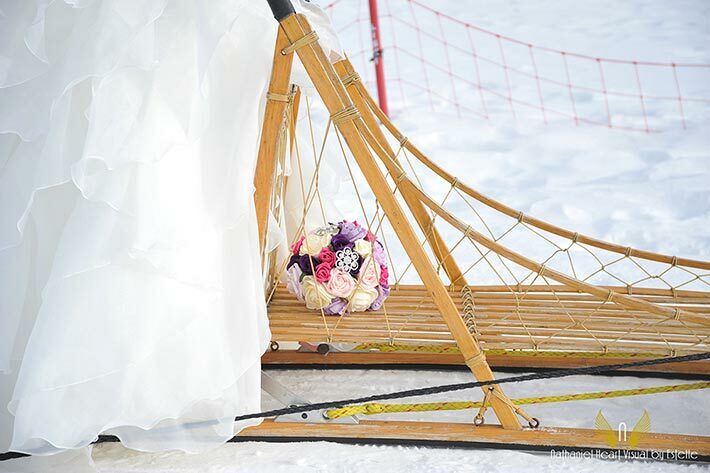 The first wedding of the year, a winter wedding in Sestriere on Alps! 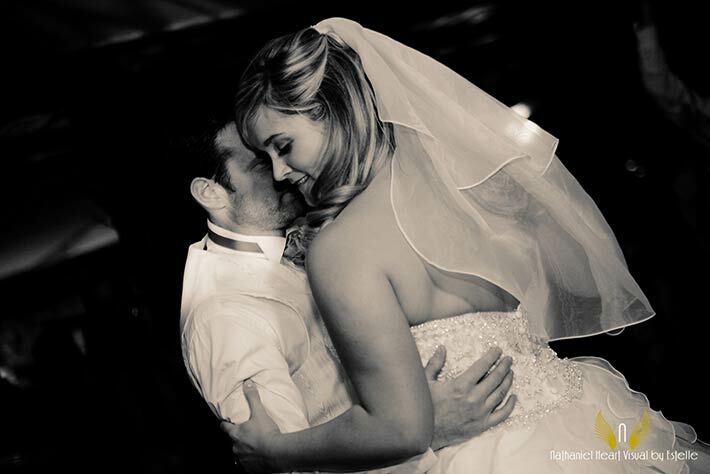 A wonderful, sweet couple that will always stay in our hearts! 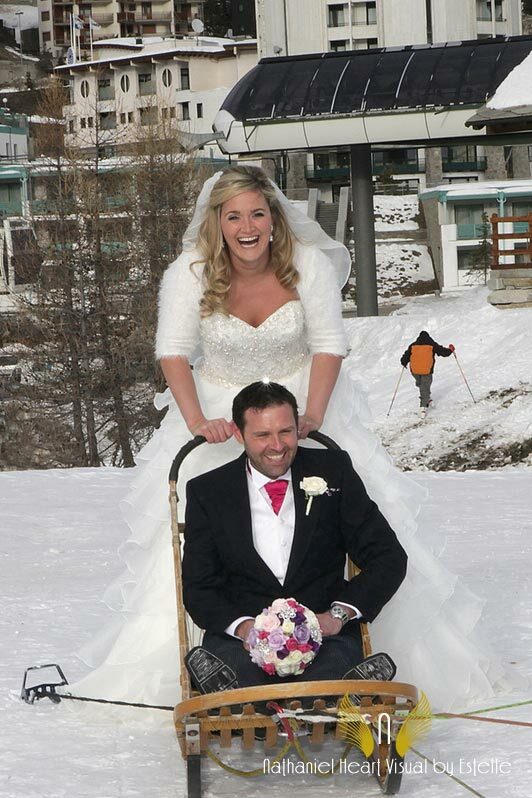 Lucienne and Mickey arrived from Ireland to celebrate their Italian wedding on Alps. We met them one year before the event and spent a year planning the event and knowing each other! A lovely experience that we would repeat if we could! 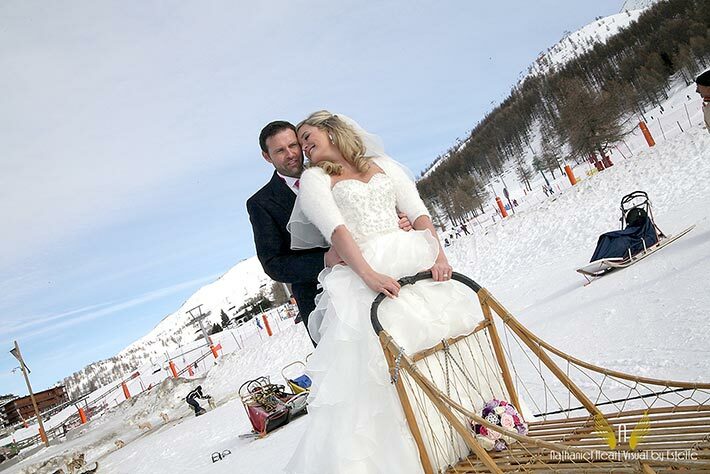 For their special day Lucienne and Mickey choose a wonderful Alp resort just facing Sestriere slopes! 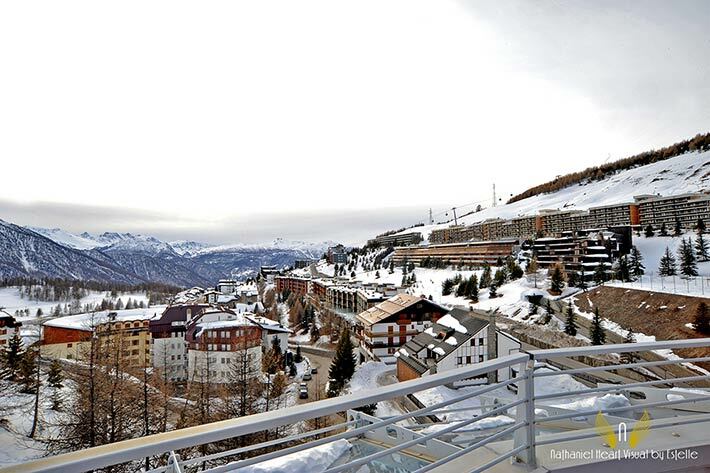 A stunning place with a stunning view! Lucienne got ready in one of the best room of the resort while Mickey was not far in another hotel by the slopes. 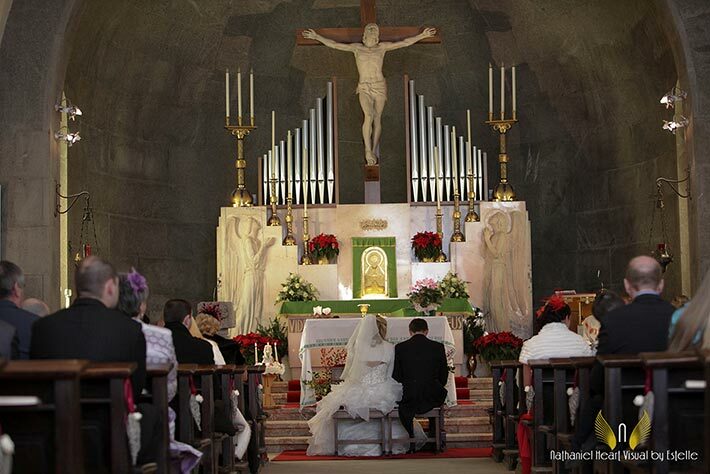 The ceremony was planned for the first hours of the afternoon in local church in Sestriere. Sestriere church a lovery liberty style church all made in local stones. Lucienne arrived there with her wonderful mum! The ceremony was really moved and accompanied by two great Irish singers who came with the group from Ireland. After the ceremony it is time for pictures. Lucienne and Mickey wanted a lot of them! Some great and fun ones. 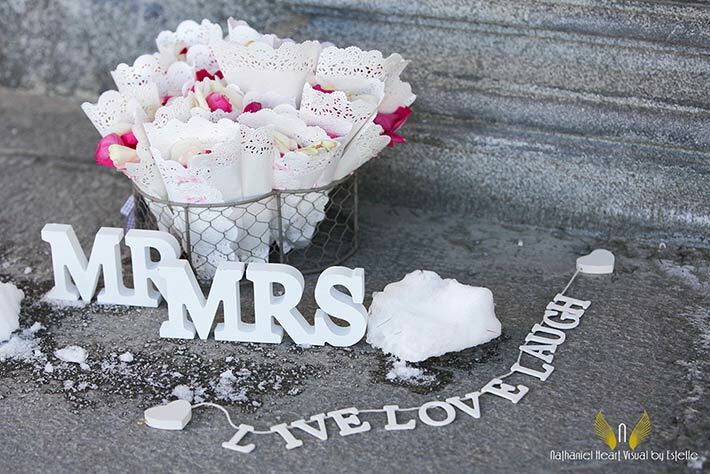 Estella Lanti wedding photographer took great shots you can see in this post! Simply beautiful! 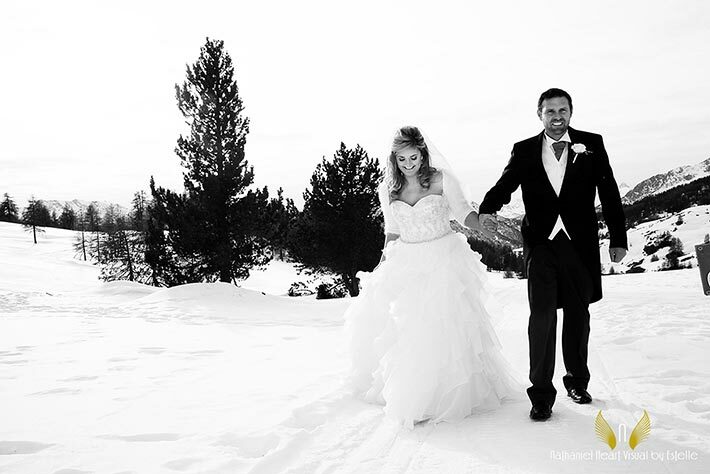 A lot of pictures in the snow for our bride and groom. 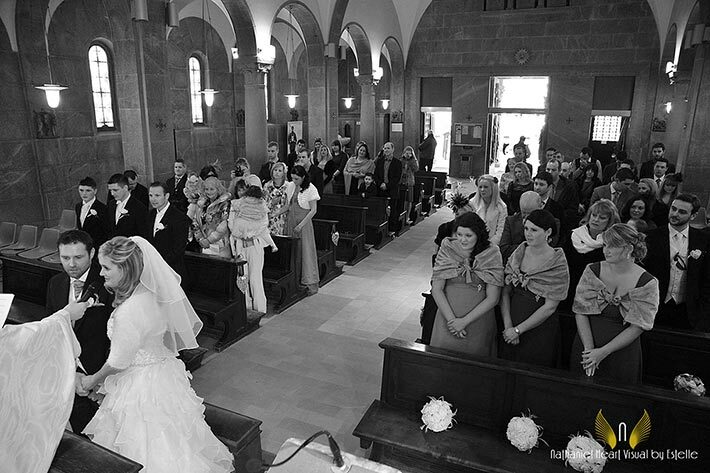 Have a look to the great scenarios they choose for a intimate walk! 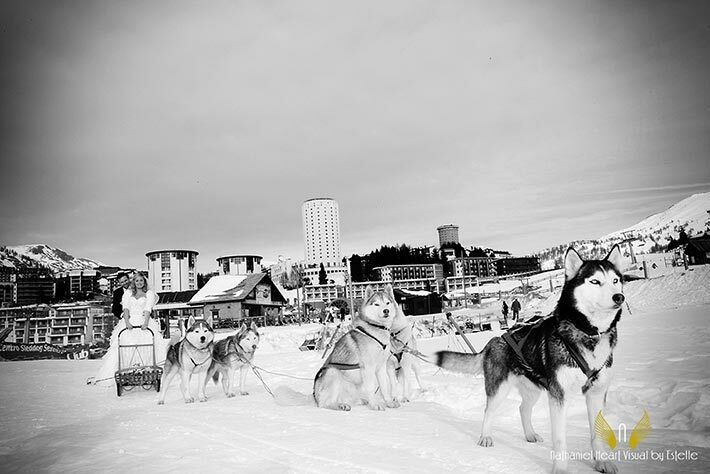 And for their great love for dogs they also took the chance to have a little ride on a sleigh with husky dogs! An original photo shooting for sure!!! Then back to the hotel for some warm temperatures! 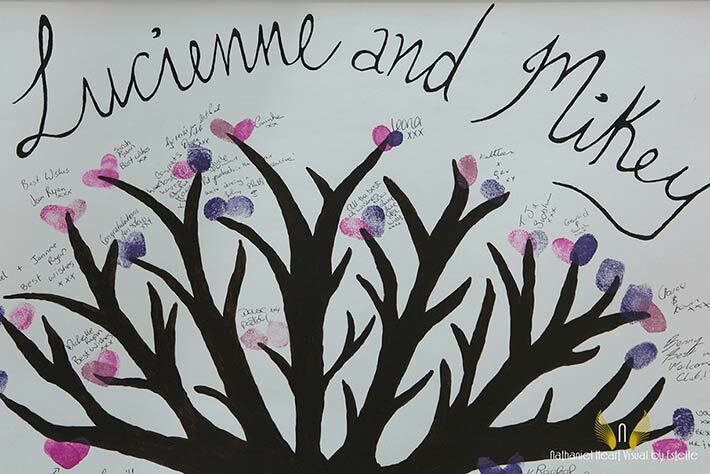 A lovely aperitif and some group photos wanted for the bride and groom and finger tips marks on Lucienne and Mikey wedding tree as guest book. What a cute idea! 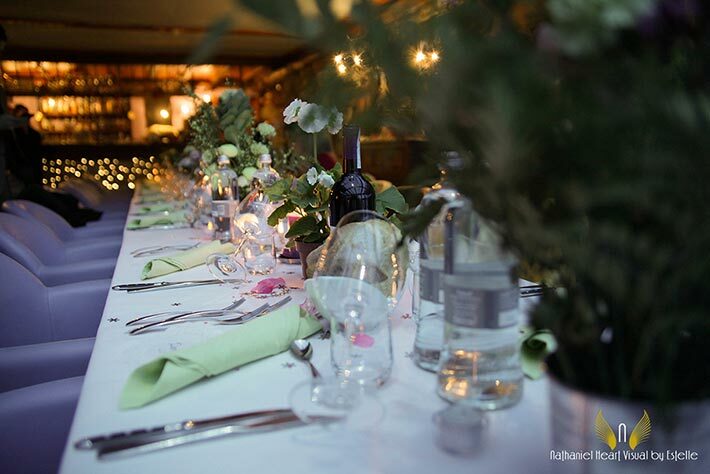 Lucienne theme color was pink with a little touch of white and green as you can see from the pictures and she wanted very loose and casual centerpieces for the long tables of the reception. A little touch or spring color for a winter wedding! 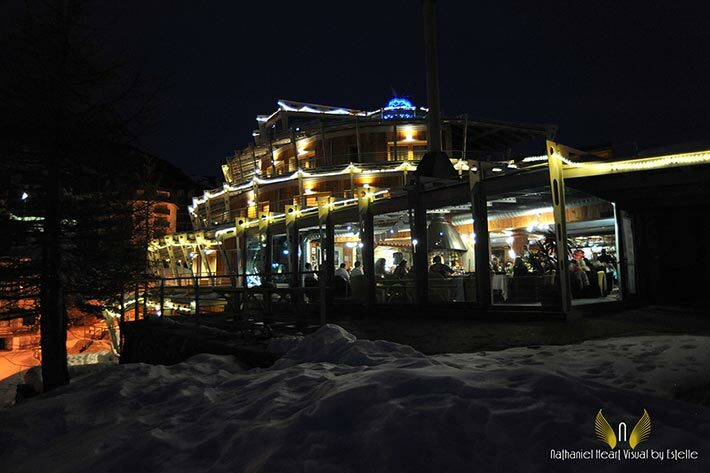 Lucienne and Mickey and their guests tastes a wonderful Piemonte Alps traditional meal with local red wines and a warm winter atmosphere of the restaurant of the resort…. just in in snow…. overlooking the mountains. Irish musicians started to play right after the dinner at the moment of the wedding cake cut. Lucienne and Mickey was a great original and fun cake! Have a look at it. 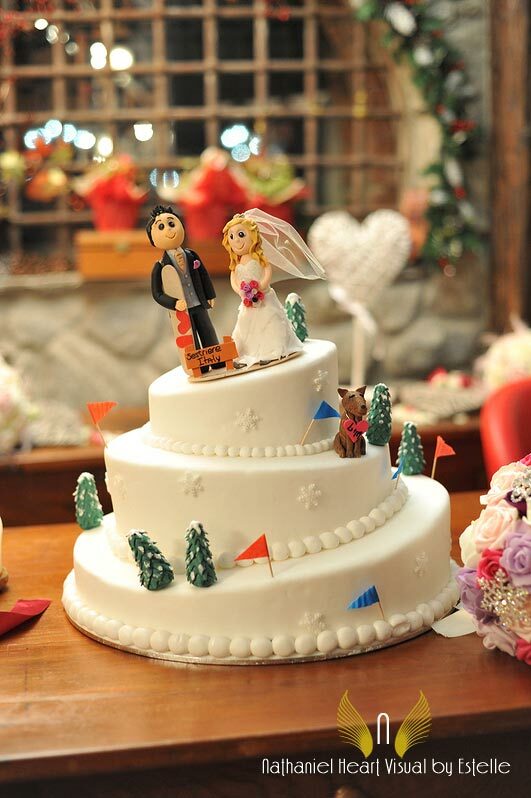 A winter themed wedding with a fun cake topper…. 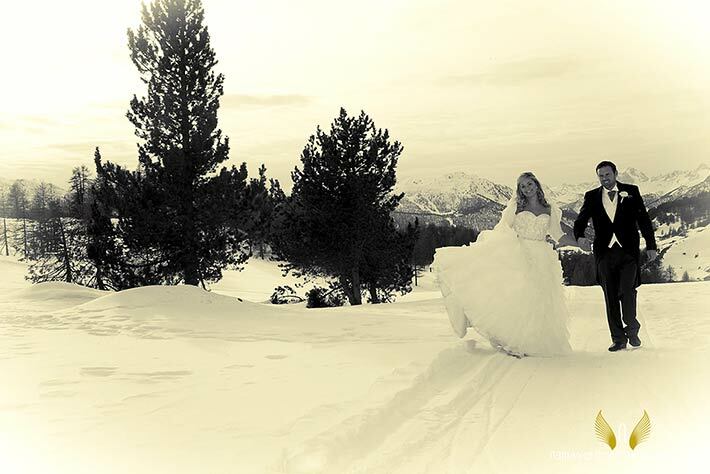 bride groom and with ski, snowboard and their dog! Dances and open bar went on up to late at night and we can really say we had a lot of fun too. 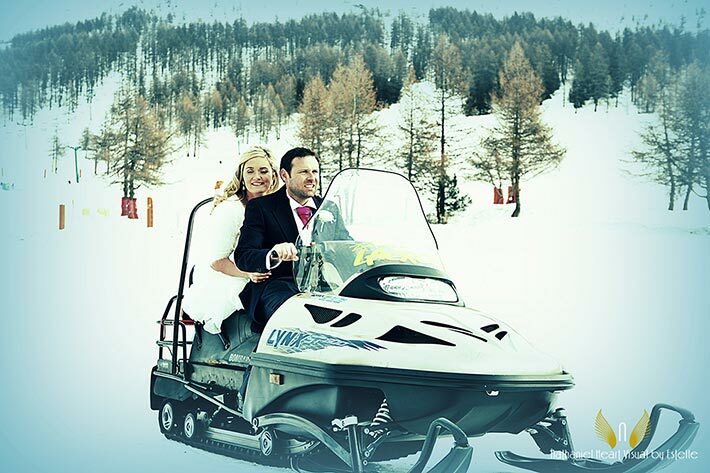 A winter wedding could be different, original and fun….maybe less formal than an elegant wedding in summer but for sure with a choice like this you will rock and dance your night away! Thank you Lucienne and Mickey for such a great experience for us too!